We can get carried away with the hustle and bustle of Christmas and, surrounded by the warm glow of seasonal goodwill, it is easy to forget that sadly there are always both professional thieves and opportunists for whom this is a highly profitable time of year. Some simple precautions can help prevent you becoming a victim of Christmas crime when out shopping in Watford this Christmas. One idea that is pure genius in its simplicity is the 'purse bell!' At this time of year it is easy to find jingle bells amongst all the christmas decorations available which you simply attach to your purse. 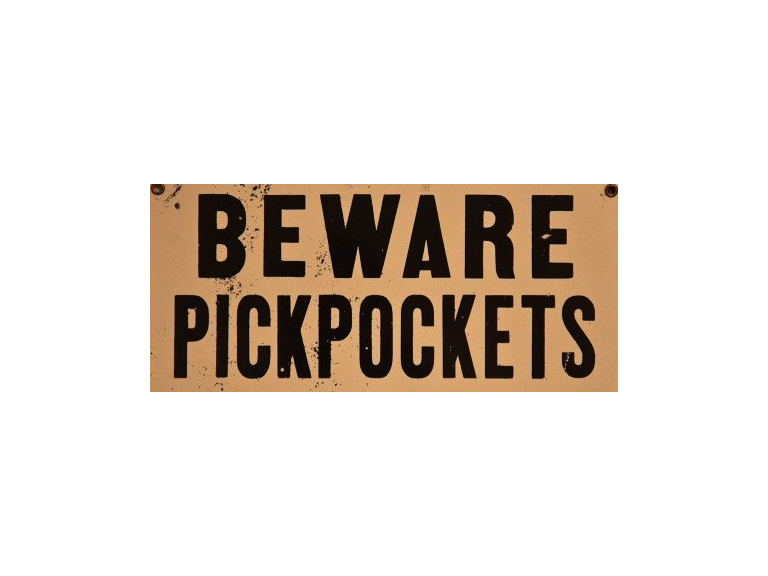 An outlay of what is likely to be less than £1 could stop you being a target of purse dippers, and have been proven to be a strong deterrent for would-be purse thieves, if anyone tries to grab the purse you, and people nearby are immediately alerted by the noise. Watford Police Community Support Officers hand out crime prevention cards, purse chains and flyers to remind Watford's shoppers to be extra vigilant to opportunist pickpockets. Electronic display boards in the Harlequin Shopping Centre endorse the message, along with cardboard cut-outs of spot-the-difference undercover police officers and shoppers. With or without bells on, make sure you keep your purse secure in your bag at all times, and your bag close to your body. Use a bag that can be closed, ensuring zips and fastenings face inwards. If your bag has a long strap wear it across your body rather than on one shoulder. Wallets are best kept in inside pockets, and wrapping a couple of thick rubber bands around a wallet makes it much more difficult to 'slide' out of a pocket, either accidentally or with help from a thief. Be vigilant at cash machines. Be alert to anyone hanging around the machine before you approach it, make sure no one can see you entering your PIN and don't walk away with cash in your hand for all to see. Credit card crime not only involves someone stealing your card, but also skimming. This method of illegally obtaining your card details by swiping your card through a small card reader could happen anywhere you pay with a credit card. Do not allow sales assistants or restaurants to take your card away for swiping, if the machine is located elsewhere on the premises you have every right to go with them. Make sure you park your car in a well lit, public place. Never leave anything visible inside your vehicle, to a thief its just a glass display case on wheels! Avoid carrying too many bags around with you; the more you have the more vulnerable you are to street crime. If you return to your vehicle to unload shopping make sure it is securely locked, out of sight, in the boot. If you stop for a drink or a bite to eat, never ever leave your bags unattended, not even for a moment... a few seconds is all it takes for the opportunist to strike. Ideally, if you're planning a mammoth Christmas shop in Watford, it's best to have a friend or family member with you – you can never have too many eyes, ears and arms! And by way of a thank you to them, a wee tipple of something warming at the end of a hard day's shopping will be just reward for all...!